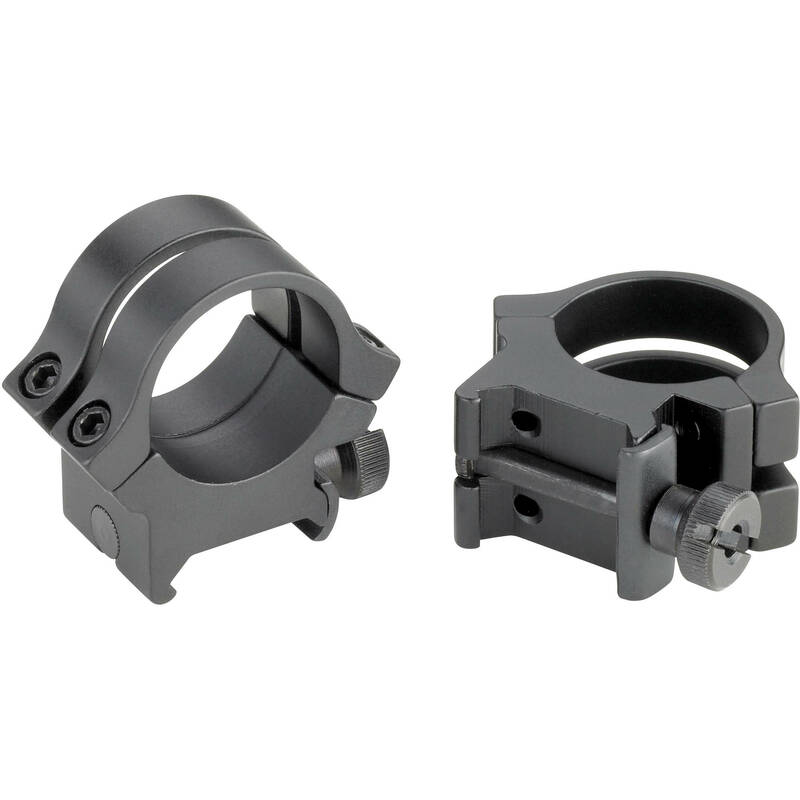 Weaver Quad-Lock 1" Medium Riflescope Rings Matte are made with extemely lightweight all aircraft-grade aluminum. One thumbscrew on each of the two rings attaches the scope to your rifle, easy to mount and remove. Each ring tightly fastens the scope with 2 straps and 4 screws, which maximizes recoil resistance. Box Dimensions (LxWxH) 4.55 x 3.5 x 1.1"
Quad-Lock 1" Medium Riflescope Rings (Matte) is rated 5.0 out of 5 by 2. Rated 5 out of 5 by Southern Man from Good for the money Very good ring for the money. Holds perfect.